Well, you find them the same place you find Biff and Buffy to hire for your campaigns; and you find Black entrepreneurs the same way you find Chuck and Shane. Most people call their friends for recommendations when looking to hire someone. They call people they know and trust. I’ll let you decide what that says about all these Republicans who constantly tell me they don’t know where these Black Republicans are. This frustration has led me to create Black Americans for a Better Future (BAFABF), the first and only Super PAC established to get more Blacks involved in the Republican Party. Our focus is strictly on the Black entrepreneur. Far too many Republicans think they know more about the Black community than a Black person; consequently, they think the gateway to the our community is the preacher or issues like criminal justice reform, abortion, or crack/cocaine disparities. As I tell these Republicans, “I have been Black most of my life” and I know what issues are most important to my community; and the issues above are not it. In the Black community, the businessman is the gateway to us. He is typically the chairman of the board of trustees at our church and in many cases the head of the deacon board. If you get the entrepreneur on your side, he will bring you the pastor and the pastor will bring you the congregation. If Republicans understood this, they would gain more traction within the Black community. Not one presidential candidate has met with any Black Republican businessmen. Our congressional leadership has never convened a meeting of Black Republican businessmen. These businessmen have the wherewithal to write political checks, but they see no value in doing so because they believe they are not welcomed in the Republican Party. BAFABF will have several major announcements in regards to solving these issues very soon. I have met with several presidential candidates and they have indicated a serious willingness to engage with us to address some of these concerns. Is the Republican Party ready to deal with the devastation Obama has wreaked on the small and minority business community? Under Bush, Blacks received 8% of all loans coming from the Small Business Administration (SBA); under Obama, that number is now only 1.8%. What are Republicans willing to do to address this issue? Obama has totally destroyed the Historically Black Colleges and University (HBCU) community. This directly impacts an entrepreneur’s ability to grow his business if he can’t find people with the right skill set to hire. What are Republicans willing to do to address this issue? Obama’s excessive regulations are smothering the small business community. What solutions will Republicans offer to remedy this situation? If Republicans are willing to engage with the Black business community based on solving real problems; you won’t have to worry about how they will vote or where they will give their money. They are problem solvers and enthusiastic supporters of capitalism and the American Dream. BAFABF will be a conduit that will bring together the brightest and the best businessmen to engage with our party’s leadership; and if they would only make them feel welcomed into this party, they will be pleasantly surprised at the many things they both have in common. Our PAC will serve not only as their PR firm; but also their booking agent when groups are looking for speakers. This will include placing them in the media and all the talking head TV shows. Unfortunately, there is no surrogate program in place anywhere within the Republican Party to showcase this phenomenal talent that is sitting on the sidelines. We already have surrogates in New York, Pennsylvania, Ohio, Missouri, Alabama, Georgia, Virginal, and Florida, just to name a few. We have already begun to roll them out into both local and national media. I find it astonishing that there is no surrogate program by the party to push back on all the liberal orthodoxy being propagated by all the liberal groups into the Black community. There are no credible Black Republicans on MSNBC, CNN, FOX NEWS, etc. A lie that is repeated enough becomes the truth. Our surrogates are not seeking to make the party feel “comfortable” with them, but rather people who will tell the truth. Our surrogates are Blacks who actually have personal ties and relationships within their own community; not the Blacks Republicans typically get to do media who have absolutely no connection or credibility within the Black community. These Black media whores that certain Republicans constantly promote do more damage to the cause than anything liberal Democratic policies could ever dream of. Our goal at BAFABF is to make America’s future brighter by uplifting and showcasing the true leaders in the Black community—the entrepreneur. 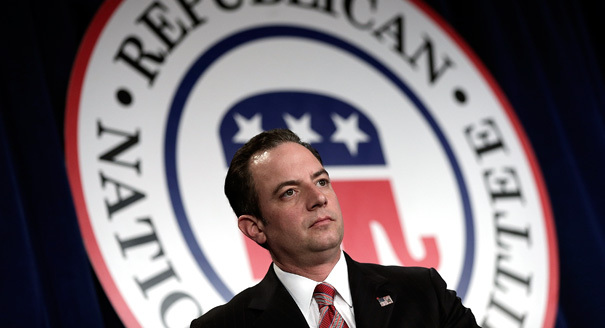 Hey Buddy!, I found this information for you: "Black Businessmen Are Open to the Republican Party". 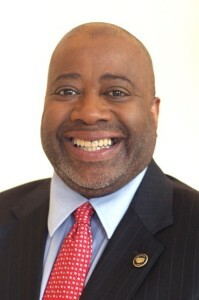 Here is the website link: https://blackmeninamerica.com/black-businessmen-are-open-to-the-republican-party/. Thank you.